Synopsis, Our Opinion: An OK picnic wine, but there was little to recommend except the price and one liter bottle. 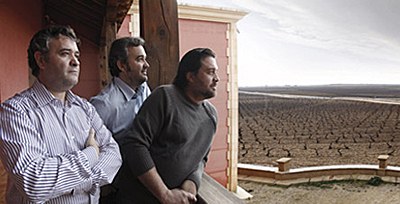 Producer/Winery: Francisco, Javier and Luis Parra, Bodegas Parra Jiménez; Las Mesas, Spain. 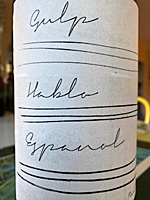 Grape Variety: 16 grape variety blend – Riesling, Sauvignon Blanc, Verdejo, Moscatel de Alejandría, Moscatel de grano pequeño, Macabeo, Chardonnay, Tempranillo, Graciano, Merlot, Monastrell, Syrah, Petit Verdot, Cabernet Sauvignon, Cabernet Franc, Garnacha. 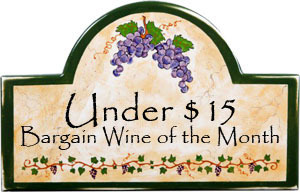 Paired With: Venison burger, (Am. Test Kitchen recipe) crispy smashed potatoes and corn on the cob (from last summers garden). Opened 30-minutes before drinking. Clear, very light ruby color with a lighter rim. Earthy raspberry aromas. Very smooth entry, mellow, light body and a 400-grit texture. Fruity cherry and raspberry flavors. 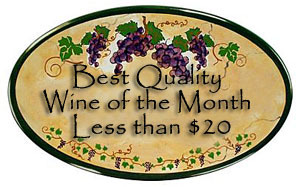 Soft acidity, round tannins and a medium-length fruity finish. The term “watery” could be used to describe this wine, but it was better than that. It was slow to get going with the light bouquet and taste; however about mid-palate through the end it was easy drinking and had substance and flavor. An unusual blend of grapes that one could imagine being everything left-over from the seasons bottling. This was an OK picnic wine, but there was little to recommend except the price and one liter bottle. Photo from Bodegas Parra Jiménez. Comments: Learn more about Bodegas Parra Jiménez and their wines. Imported by: T. Edward Wines; New York, New York.